In celebration of Women’s History and Music in Our Schools Month, Education Through Music-Los Angeles held its 4th Annual Music & A Makeover, bringing together local, female-led fashion brands, live music and food & wine tastings to empower women and raise funds for in-school music programs for disadvantaged schools across Los Angeles County. Hosted by Kala Maxym, Founder & Chief Event Composer of Five Senses Tastings, the evening featured intimate performances by singer-songwriter Judith Hill (The Voice, Michael Jackson), actress/singer Karen David (Galavant, Once Upon A Time, Barry, Timeless) and recording artist Shoshana Bean (Hairspray, Wicked, Funny Girl). 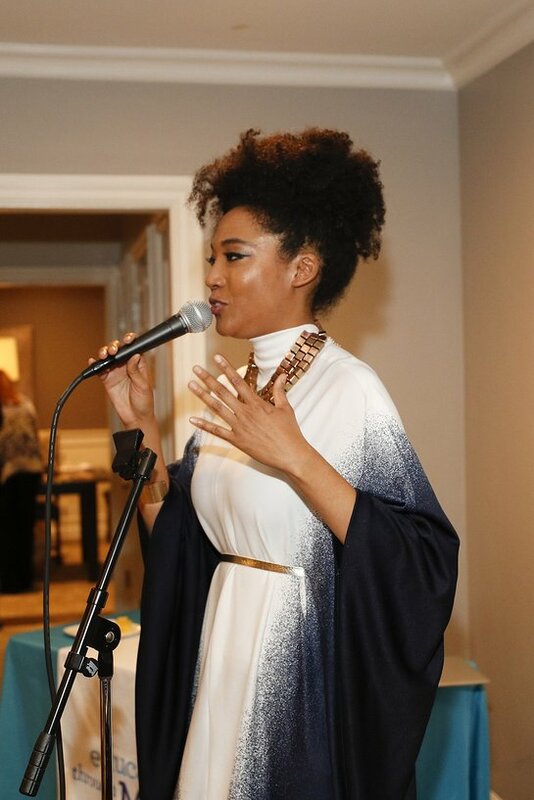 Guests enjoyed perusing jewelry and designs from Queen’s Trunk and Rose & Sage, as well as children’s clothing lines Dulce Swimwear and Ice Cream Castles. Now in its 12th year, ETM-LA has expanded from 2 schools and 800 children to a planned 30 schools and approximately 15,000 schoolchildren with weekly music as part of the core curriculum in such diverse communities as Compton, South Central, Chinatown, Boyle Heights, Downtown LA, East Los Angeles, Pacoima, Pasadena, Burbank, Canoga Park, San Fernando Valley, and West Los Angeles. Education Through Music-Los Angeles is an independent 501©3 non-profit with the mission to provide music in disadvantaged schools to enhance students’ academic achievement and creative and overall development. ETM-LA partners with inner-city schools to provide yearlong music instruction for every child. For more info: www.etmla.org.